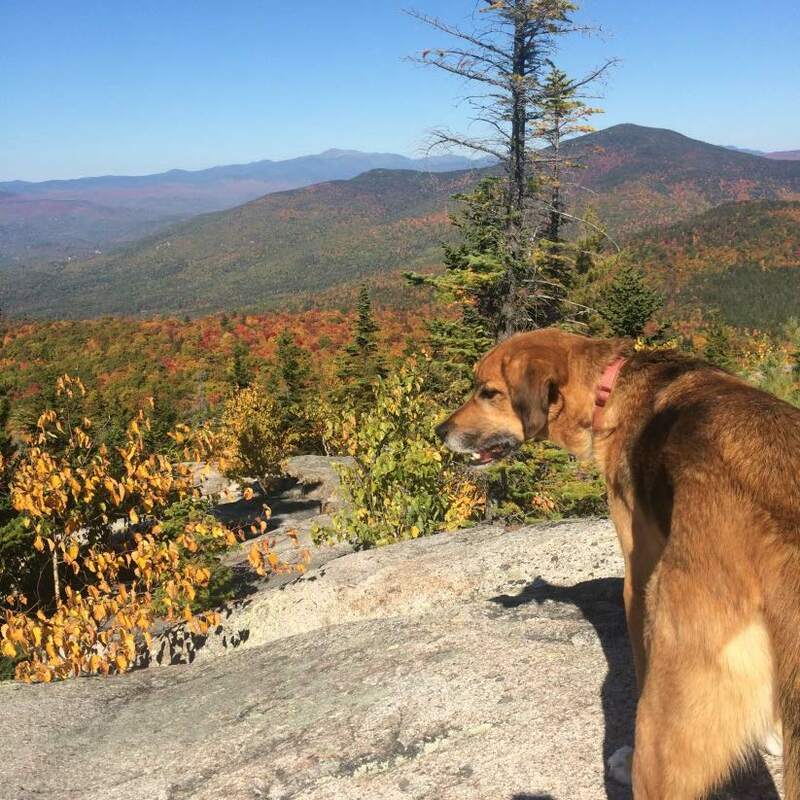 Last weekend I had a few days away in New Hampshire and Massachusetts, and on Friday with my father and with my brother’s dog hiked up the Black Cap Trail near North Conway NH on one of those perfect fall days, with temperatures in the 70s, blue sky, and sunshine. From the top, we could look north and west and see mountains and lakes and rivers and small towns, leaves on the trees turning yellow and orange and red, and in the distance, the tallest mountain in New Hampshire, Mt. Washington. We stopped on some rocks, took out our bottled water and trail mix, and gazed out at the view. The dog wandered around to check out other peoples’ food supplies, but he knew all along who provided his ride so he always came back. There is deep, deep beauty to be found in the mountains of New Hampshire, or in any wilderness, and there is something Franciscan in receiving that wild beauty as reflective of the goodness of God’s creation. This weekend we welcome Br. Paul O’Keeffe who is preaching about our Franciscan missions and who also happens to be from my hometown of Burlington, MA. Next weekend we will have a second collection for hurricane relief and we continue to pray for those who have felt the effects of Hurricane Matthew. A couple of important events coming up for our schools; next Sunday is our Preschool’s annual Harvest Moon Festival after the 11:30 Mass and the following Sunday, October 30 is our Franciscan School’s Open House, also after the 11:30 mass. Both of our schools are gems, so if you or someone you know is interested, check out either or both of these events.